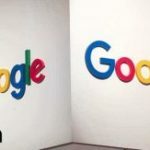 Pine Labs, a merchant platform company, has announced a collaboration with Google India to enable offline transactions for their digital payments service, Google Pay. Pine Labs’ solutions are used by merchants from diverse sectors – electronics, food & beverage, fashion, pharmacy, telecom and airlines. Pine Labs enables online and offline last-mile retail transaction for over 100 brands. This changes the equation for most of the other players who are building their own distribution network.